For readers of Jacques Pépin’s The Apprentice and Marcus Samuelsson’s Yes, Chef, here is the coming-of-age story of a true French chef and international culinary icon. 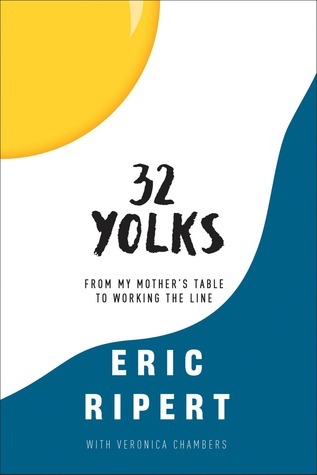 Before he earned three Michelin stars at Le Bernardin, won the James Beard Foundation Award for Outstanding Chef, or became a regular guest judge on Bravo’s Top Chef, and even before he knew how to make a proper omelet, Eric Ripert was a young boy in the South of France who felt that his world had come to an end. The only place Eric felt at home was in the kitchen. His desire to not only cook, but to become the best would lead him into some of the most celebrated and demanding restaurants in Paris. Cassandra's Review- This is not a huge book of recipes, it is a telling of one man's life up to a point. It kind of just leaves a blankness mid read. I actually listened to an audio version and thought that maybe I lost a CD because it was like a lead up to but not a follow through. Maybe that is what the author was going for, maybe this was just a small portion of a bigger life's picture? What I did hear was a tale of levels of sadness mixed with a promise of a great future for the author.